Happy Halloween!! 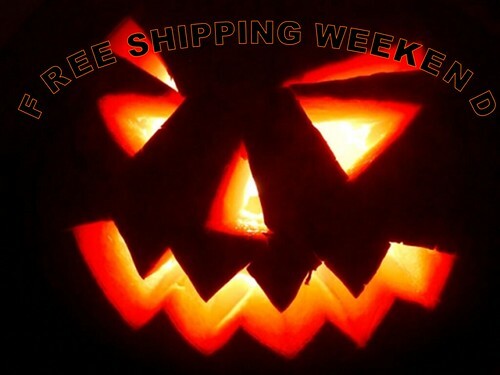 This year we have decided to dress up as Free Shipping. For all of you have been writing about living in a city or town that does not have Wean Cubes near by we are offering 1 weekend of FREE SHIPPING!! Starts right now! Offer expires Halloween at midnight. We will ship orders via FedEx Ground. This entry was written by Melissa, posted on October 29, 2010 at 11:30 pm, filed under Wean News. Bookmark the permalink. Follow any comments here with the RSS feed for this post. Post a comment or leave a trackback: Trackback URL.